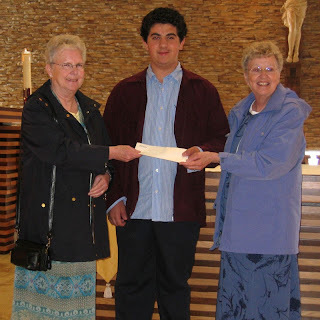 On May 14, 2006, a cheque of $8,000 was presented to the Grey Sisters (from Pembroke, Ontario) at St. Marguerite d'Youville Church in Brampton. The money will be sent directly to the Dominican Republic, where the Grey Sisters are stationed. There, it will be distributed it accordingly, making use of 100% of the funds to provide school uniforms for the children of the bateyes. The Grey Sisters are also stationed in Consuelo, Dominican Republic, and work closely with several schools on and around the poor bateyes.